Nothing stays the same on Instagram for long. Especially for marketers. The platform grew by a staggering 200 million users in 2017 alone. This growth combined with the company’s decision to go all-in on Instagram Stories signals the platform’s status as the prime place to promote visual content. But with increased competition comes the challenge of standing out. And the pressure to promote more eye-popping content. Luckily, there are a ton of Instagram tools out there to help you do exactly that. Don’t consider yourself a creative type? Not exactly a master photographer? No worries. Below we’ve broken down 25 Instagram apps (free and premium) to ensure that your visual content doesn’t go unnoticed. The more you focus on Instagram as a marketing channel, the more shortcuts you need to find to save time. From increasing how much content you share to responding to users ASAP, all marketers should consider having a tool to manage their presence from one place. The ability to queue up posts in advance is a game-changer for serial Instagram users. Instagram scheduling allows you to plan out your content calendar without having to worry about crafting posts in real-time. 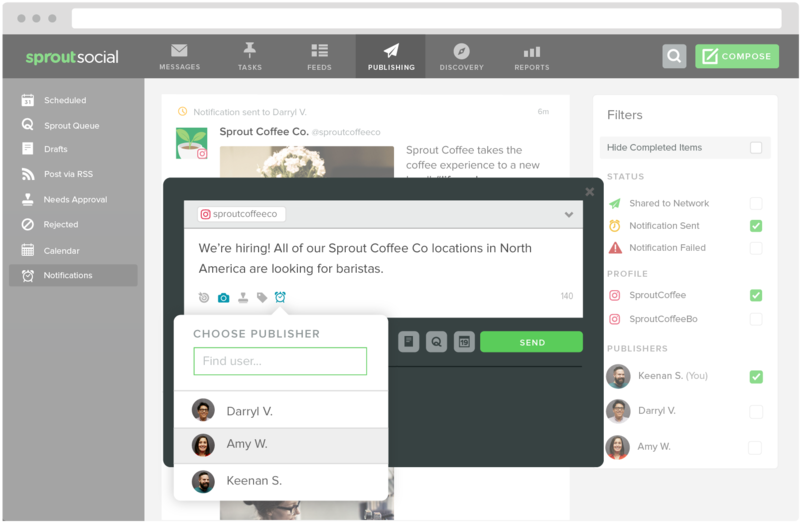 Additionally, Sprout aggregates your Instagram notifications so you never miss any shout-outs from your followers. 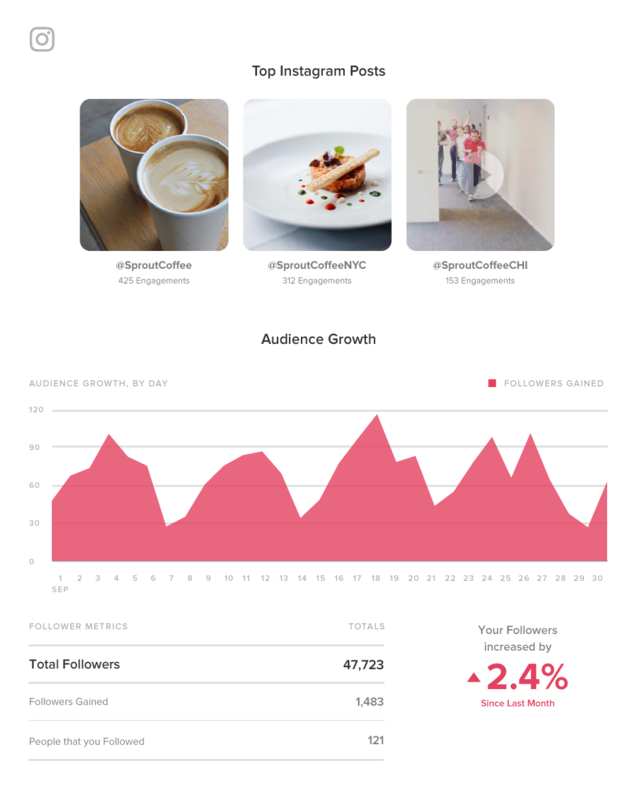 Also, Instagram analytics from Sprout clue you in on your top-performing posts. This allows you to keep creating the content your followers are hungry for, time and time again. Update: With the latest Sprout Social update, you can now schedule and post your photos directly to Instagram! Get in touch with our team today to learn how you can schedule, post and analyze Instagram content from one platform! The era of smartphones has made us all amateur photographers, but that doesn’t mean we snap flawless photos. Thankfully, there are plenty of editing apps to help us deal with anything from touch-ups to adding visual flair with effects and text overlays. BeFunky is a robust web-based photo editing tool, perfect for cleaning up pictures and designing graphics alike. The full suite of editing tools includes the ability to crop, resize, tilt, soften, sharpen 2nd much more. As an added bonus, you don’t even have to create an account to use the free version. Sometimes an otherwise perfect photo needs a bit of touching up. 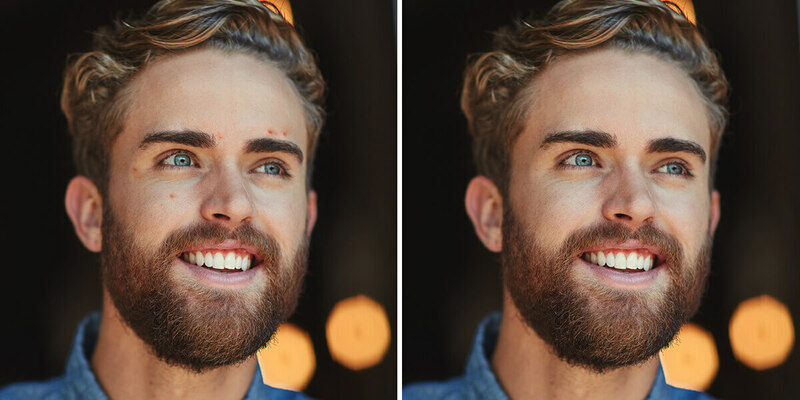 PicMonkey is great for fixing selfies, allowing users to remove wrinkles and reduce shine. Given that images on Instagram that feature a face get 38% more likes, PicMonkey can help you get the picture perfect photo every time. PicMonkey isn’t just for pictures of people, though. For example, the “Adjustments” feature is awesome for creating epic, landscape-style photos. If you’re using an editor by Adobe, you know your photos are in good hands. 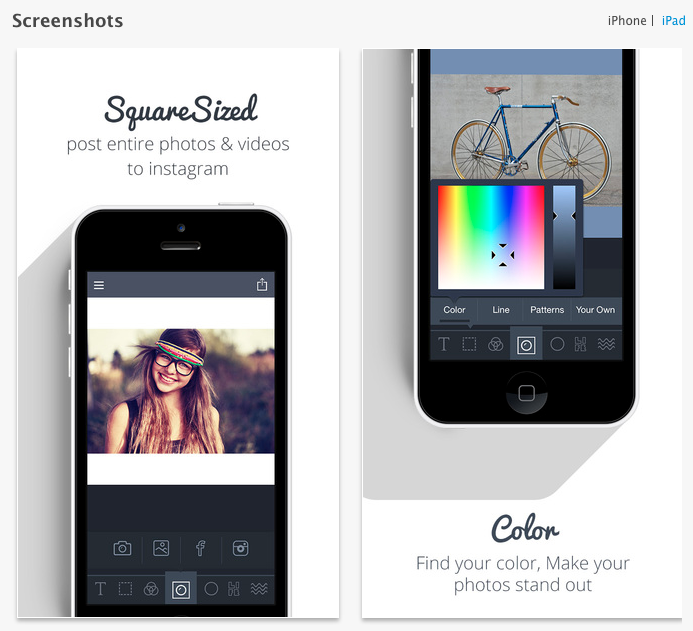 Aviary is a straightforward yet powerful Instagram app with a ton of one-touch tools on deck. Creative touches like softening, sharpening and playing with the saturation of photos may seem subtle but can be the difference to make your photos pop. Another awesome feature of Aviary is the ability for the app to actually suggest edits on your behalf. If you’re looking to create social graphics from scratch, look no further. 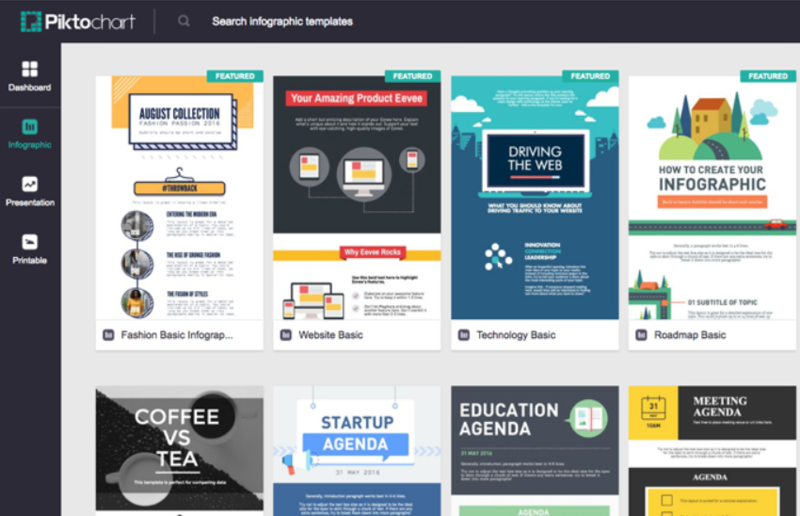 Canva boasts several templates for inspirational images, text-based photos, announcements and everything in-between. Infographics get plenty of love on Twitter and Facebook, so why not Instagram? Piktochart providers you with attractive templates for those times when you want to hit your followers with a data-driven post. 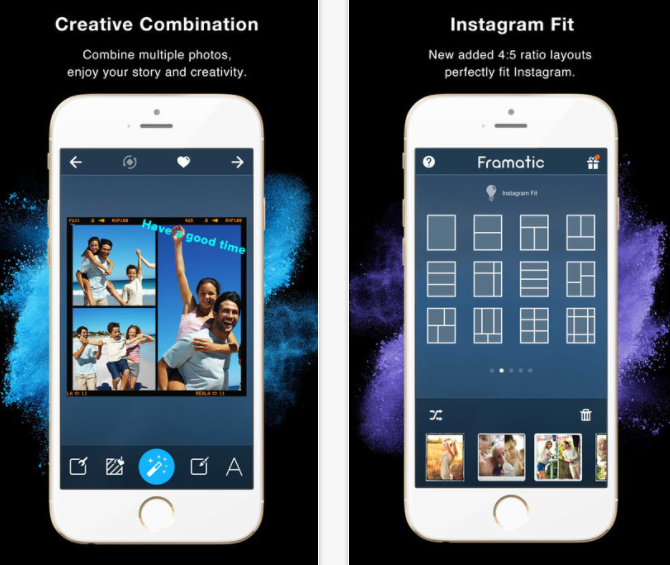 With over 20 million downloads, Framatic is another raved-about Instagram app for sprucing up your images. The app sports 36 adjustable layouts, 32 vintage borders and 92 effects to apply to photos in an instant. 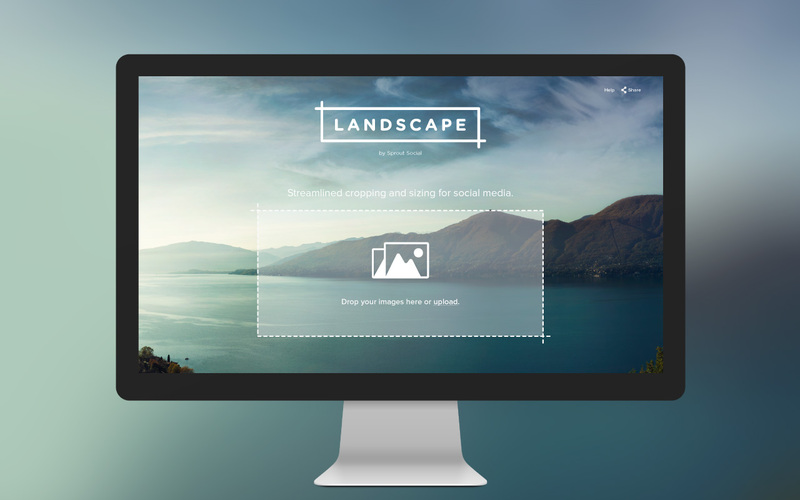 Landscape is Sprout’s very own social media image resizing tool. How does it work? Upload any photo that you’d like to share on Instagram, choose which post size you’d like to create, then guide the cropping and presto. Now you have a freshly optimized image to download. After you’ve cropped your images to your exact specifications, start sharing them with your Instagram followers! One of the most-downloaded resizing apps, Square Sized allows users to import photos from personal albums or Facebook to be optimized for Instagram. 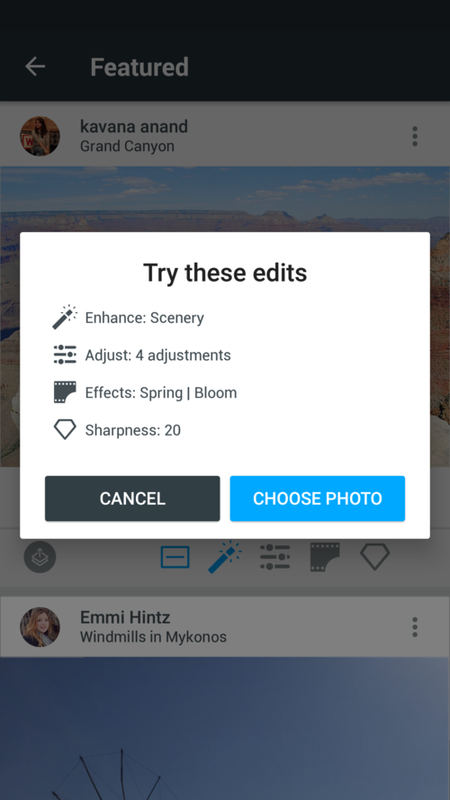 The app gives you the option to edit your newly sized photos too. 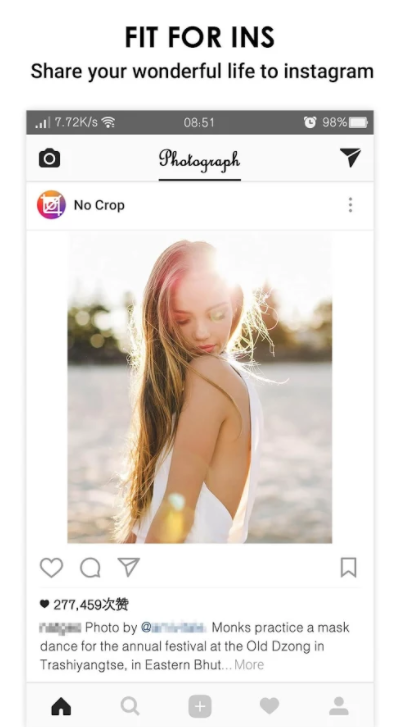 This app does exactly what it’s advertised to do: post full-sized pictures on Instagram without cropping. Extras such as stickers and filters are also available to give your resized photos even more creative flair. 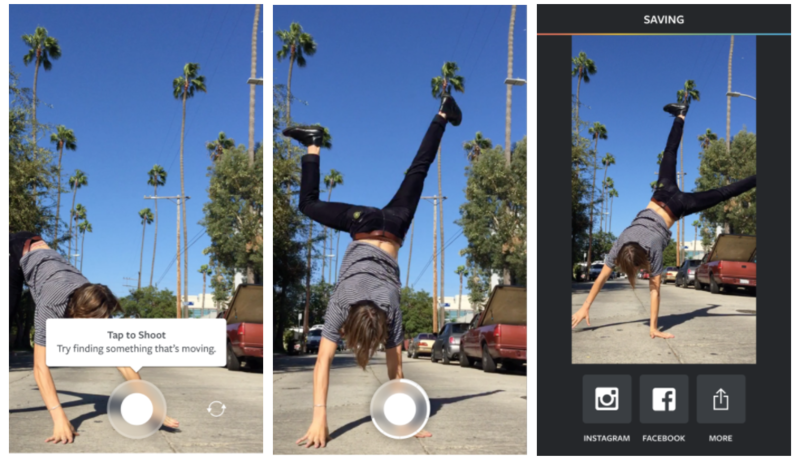 Layout is Instagram’s very own collage creator. 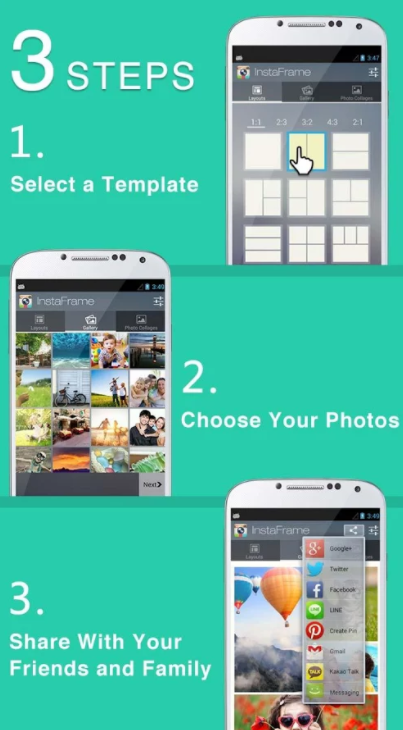 You can create collages from photos taken on the spot or from your camera roll. Layout also has a handful of creative tools, such as the traditional Instagram filters, for making your collages even more, well, you. LiPix is a social tool currently being used by over tens of millions across Instagram, Facebook, Twitter, Flickr and Tumblr. The application boasts 90 adjustable templates, 54 different borders and 20 photo effects. No longer restricted to 15-second clips, videos are a prime place to let your creative side shine on Instagram. The good news? You don’t need to be Spielberg or Scorsese to pull off a good-looking Instagram video thanks to the apps available today. Instagram’s native Boomerang allows you to create super bite-sized videos that are essentially like GIFs moving forward and backward. Creating bite-sized “videos” out of burst photos, these pieces of content are great for storytelling or just having a bit of fun. 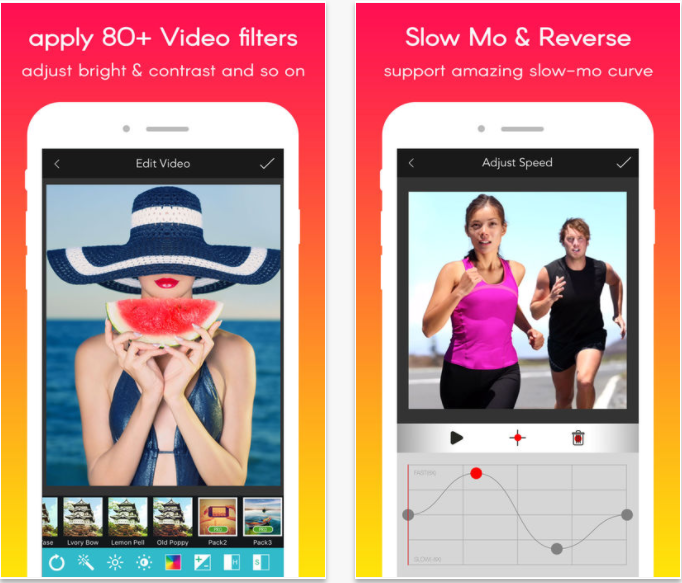 This 4.5-star rated app provides you just about everything you could want to edit your Instagram videos. Features include the ability to adjust brightness, contrast, saturation, exposure and more. You can also choose from over 80 different filters to use. Another time-lapse app for Instagram, Lapse It provides a variety of editing options to make your time-lapse content gorgeous. From backward looping to adding visual effects, eye-popping video is only a few taps away. GoPro is well-known for their own breathtaking Instagram content. Through Quik, Instagram usrers with GoPros can edit their high-def videos via smartphone without having to run through another editing app. This editor makes it quick and easy to crop the framing of a shot, adjust video position, resize and rotate videos, and to fill with background colors. 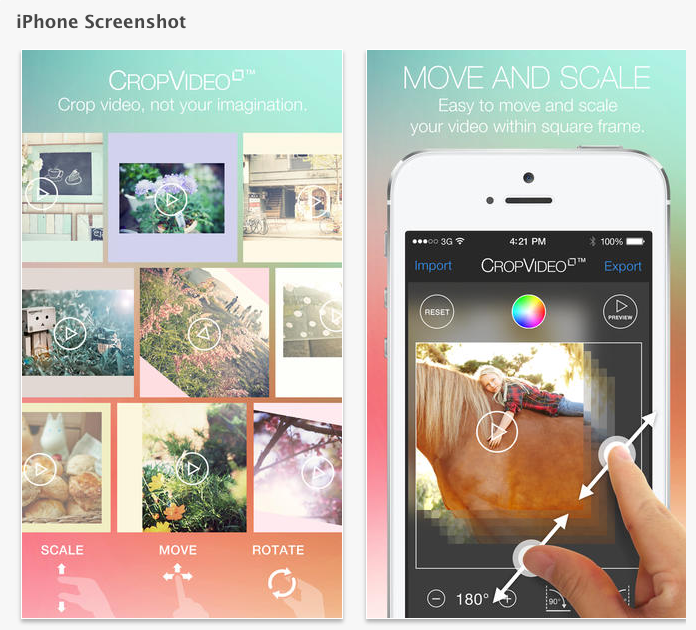 A key feature that Crop Video Square touts is the ability to pinch to crop and zoom. IFTTT –short for “if this then that”–is a tool that uses “applets” to connect products and applications. For instance, you can set an applet to email you a daily digest of Instagram Photos posted in your area. There are thousands of different applets that can save marketers time, but here are some of the best for Instagram. 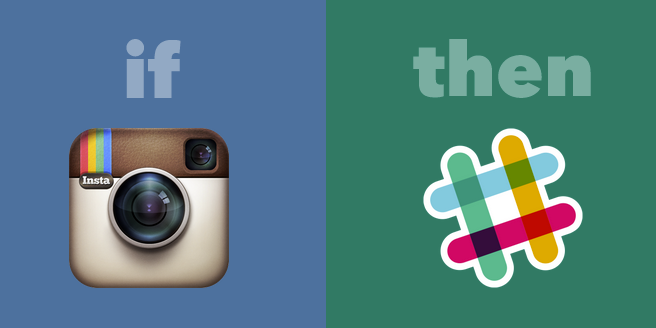 This IFTTT formula will pull all of the Instagram photos with a specific hashtag into a Slack channel. So if you use Slack, this is a quick and easy way to find the photos you’re mentioned in, which you can then go on to Regram with your followers. This is an incredibly efficient way to share your Instagram photos to Twitter, which is a great source of content for Tweets. This formula provides another quick and easy way to re-purpose your Instagram content on your other social networks. Automatically pull your Instagram photos into a Facebook album, so fans without Instagram can still see your content. Remember how we said that Instagram Stories are booming right now? 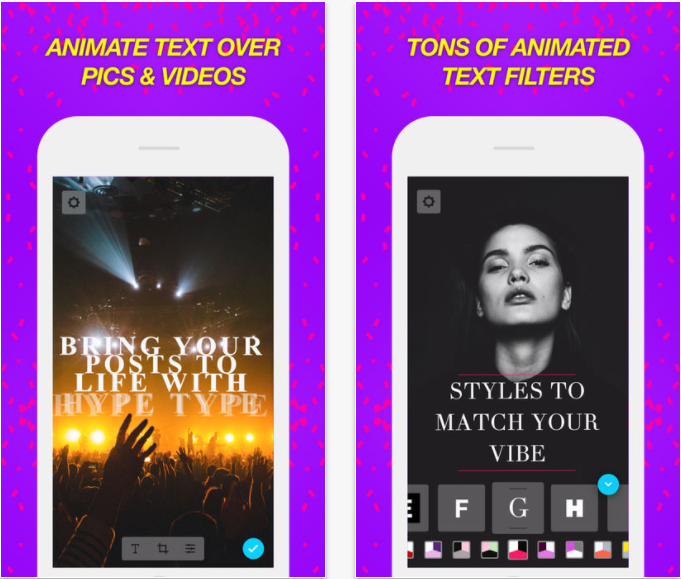 If you want to spice up your stories, these three Instagram tools are must-try. Hypetype’s motion typography is enough to make anyone scrolling stop and stare. With the ability to emphasize and animate multiple phrases in a photo, this app is awesome for visually striking stories. Designed specifically with stories in mind, Over positions itself as the be-all, end-all for brands pushing storytelling content. The power of the app’s creative design suite speaks for itself in terms of awesome imagery. And finally, another entry from Adobe. 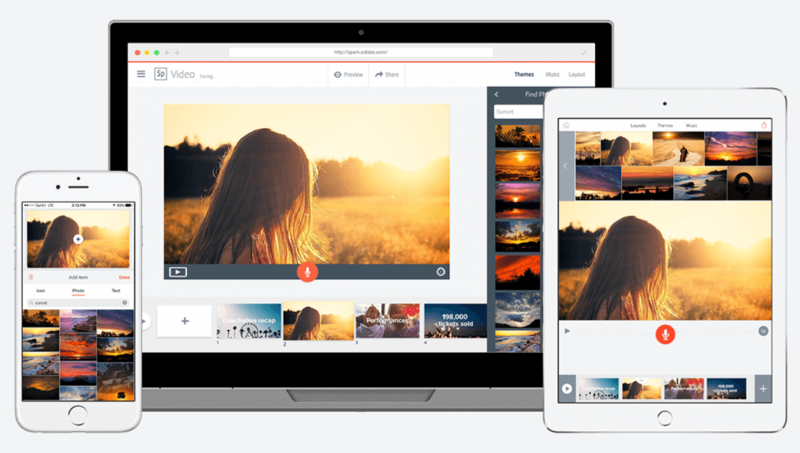 The Spark suite, which works across mobile devices and desktops alike, is a graphics creator and editor for those with limited knowledge. Easy-to-use, just about anyone can make their stories stand out with this one. Which Instagram Apps Are Part of Your Arsenal? And that concludes our list! 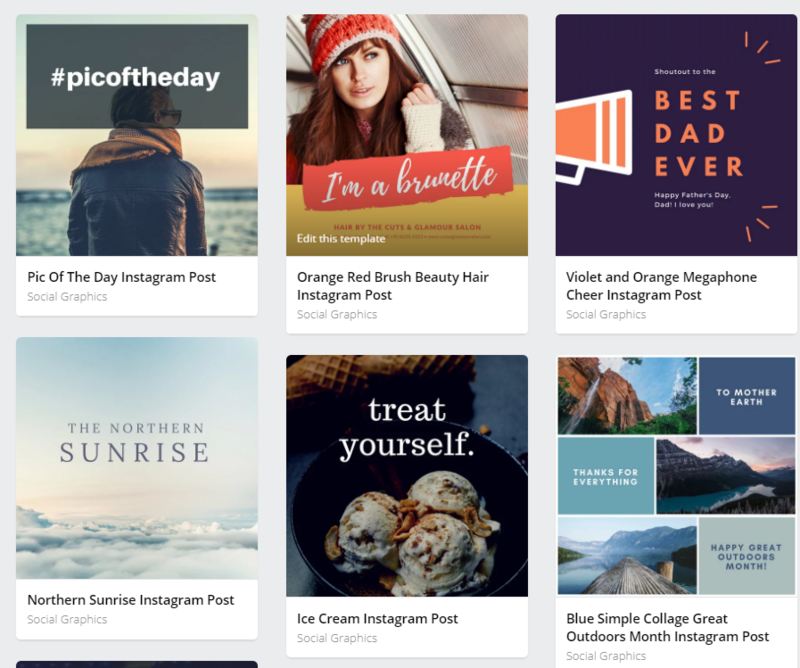 There’s an absolute goldmine of Instagram tools out there for brands of all shapes and sizes. Fine-tuning your photos for the sake of creativity is becoming more of an expectation as brands scramble for ways for their photos to stand out. That said, consider any of these apps above as a prime place to start experimenting. Which Instagram apps are you already using to tweak your images and videos? Anything we missed on our list? Let us know in the comments below!